Charlie Ergen, DISH Network Corp (NASDAQ:DISH), reached out to Deutsche Telekom AG (ETR:DTE) to discuss the acquisition of T-Mobile US Inc (NYSE:TMUS) in near future. Ergen is interested in the deal after Sprint Corporation (NYSE:S) abandoned its quest to take over T-Mobile US Inc (NYSE:TMUS). DISH Network Corp (NASDAQ:DISH) is not the only company interested in the acquisition of T-Mobile US Inc (NYSE:TMUS), as Deutsche Telekom AG (ETR:DTE) received $15 billion offer from Iliad SA (EPA:ILD) for 56% stakes in T-Mobile. However, Deutsche rejected the offer saying that it is inadequate. Iliad SA (EPA:ILD) is in talks with potential partners to renew its offer with a higher bid. DISH Network Corp (NASDAQ:DISH) is likely to initiate terms after the wireless airwave spectrum auction in November and the company is likely to offer a higher bid as compared to Iliad SA (EPA:ILD). Ergen said that the auction in November is “going to tell us kind of where we stand on a baseline value as a company. 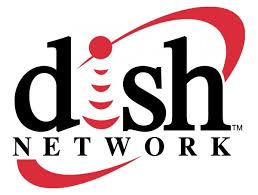 Acquisition of T-Mobile US Inc (NYSE:TMUS) will allow DISH Network Corp (NASDAQ:DISH) to offer video content over a National Wireless Network and offer DISH an edge in the cable television industry. Further, it will strengthen T-Mobile US Inc (NYSE:TMUS) against other major U.S. mobile carriers.